Kennedy Health Alliance surgeon Roy Sandau performed his 500th successful da Vinci robotic surgery at Kennedy University Hospital on Friday, May 26, when a 64-year-old female patient underwent a laparoscopic cholecystectomy, a minimally invasive procedure to remove the gallbladder. Over the past few years, Sandau has been part of several da Vinci robotic surgery milestones at Kennedy Health, including performing New Jersey’s first EndoWrist Stapler technology on the system in January 2014, and South Jersey’s first robotic-assisted Laparoscopic Single Incision colon surgery in April 2012. Sandau specializes in “scarless” robotic, single-incision colorectal and gallbladder procedures. His 500th surgery was celebrated with a cake at the Kennedy hospital. By using the da Vinci system, surgeons are able to perform delicate and complex operations through tiny incisions with breakthrough vision, precision, dexterity and control. Robotic surgery commonly reduces patient blood loss, pain and recovery time, while serving as an alternative to many traditional, open surgeries. 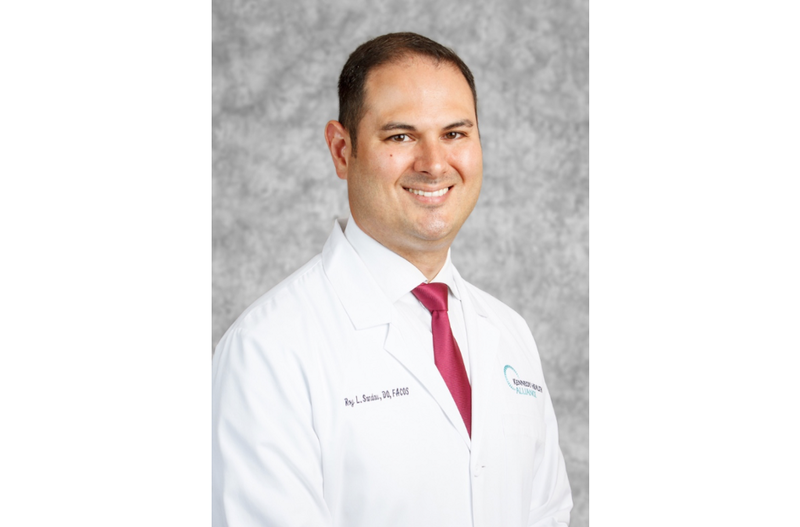 A board-certified general surgeon and resident of Cherry Hill, Sandau is Kennedy Health’s cancer liaison physician for the American College of Surgeons Commission on Cancer and is a fellow of the American College of Osteopathic Surgeons.